Cape Town - South African Airways Cargo has explained their decision to stop the transport of specialty hunted animal trophies, following an embargo which came into immediate effect on 21 April 2015. The SAA cargo service said that they issued a Policy and Procedures Advisory to its internal stakeholders advising of the embargo on the transportation of hunting trophies, which is limited to rhino, elephant, tiger, and lion, after they encountered a problem with a mis-declared shipment sent to Australia from Kuala Lumpur. A statement released by SAA Cargo said, "SAA Cargo has in the past experienced a problem where some of the shipments containing hunting trophies were mis-declared and was fined in a foreign country. In this particular instance, early in April 2015 a shipment lodged as machinery spare parts was discovered in Australia whilst in transit to Kuala Lumpur." Tlali Tlali, SAA Spokesperson, says that "the shipment contained elephant tusks and was seized. We [SAA Cargo] were issued with a Notice of Seizure". He says that SAA Cargo had to "act swiftly to curb the problem of illegal transportation of animals". SAA Cargo will keep the embargo in place until all other options have been considered and stricter control measures have been put in place to prevent a recurrence. “When such measures are implemented we will advise all stakeholders accordingly in South Africa and at our international stations,” says Tlali. The issue with the embargo was first addressed by the a hunting society journal, huntingreport.com, who published a letter signed by the SAA Cargo Manager for Compliance and Foreign Operations, Lerato Mophethe, warning the hunting community of the ban on trophy transport. The letter states, "Please be advised that South African Airways Cargo has taken a decision to place a total embargo on the transportation of hunting trophies (Rhino, Elephant, Lion and Tiger) on its services worldwide. "Please note that no exceptions will be made even if the shipper has a valid permit issued by the relevant authorities." Traveller24 previously quoted SAA Cargo's Tebogo Mofokeng, who told them in a telephonic interview that "SAA Cargo was fined by the Civil Aviation Authority following an incident in which hunting trophies were allegedly shipped to Perth, Australia under a false label of 'mechanical equipment". 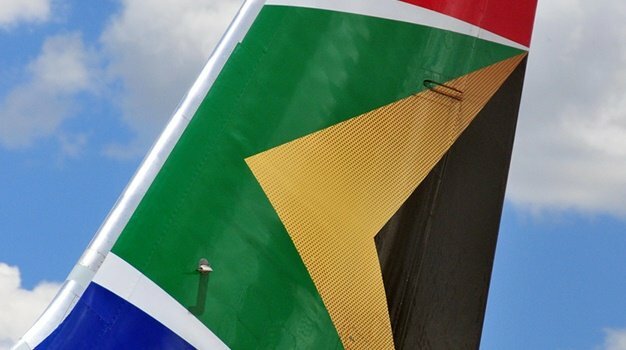 SACAA spokesperson Phindiwe Gwebu, however, told traveller24 that contrary to a previous report quoting the SAA Cargo employee, the SACAA had not issued the fine but was investigating the issue and would provide further details when available. The Professional Hunters' Association of South Africa (PHASA) said that it was unclear whether the embargo only referred to the four hunting trophies mentioned in the original letter, or all hunting trophies exported from South Africa, calling into question the inclusion of 'tiger', not found naturally in SA. It is also unclear until when the embargo would be in place. What are your thoughts on the matter? Please post a comment below or email info@traveller24.com. You can also share your travel experiences with us on our Facebook, Twitter or Instagram accounts.